It's that time of year, Allergy Season. This is the time of year I both love and hate. Love, because it's when the weather gets warmer, flowers start to bloom, we start working on our yard and firing up the grill to eat outside. What I hate about this time of the year is the seasonal allergies I get. I never use to have them. These allergies came about five years ago and have been coming around regularly ever since. When talking to my doctor when I first got these allergies, she told me that these seasonal allergies usually happen during the Spring when outdoor molds release their spores and when trees, grasses, and weeds release pollen into the air. Although I have these seasonal allergies, I'm glad my kids don't have them, but there are lots of parents out there that do have kids with seasonal allergies. Since there is no cure for these allergies, you can still relieve some of the symptoms your child gets. 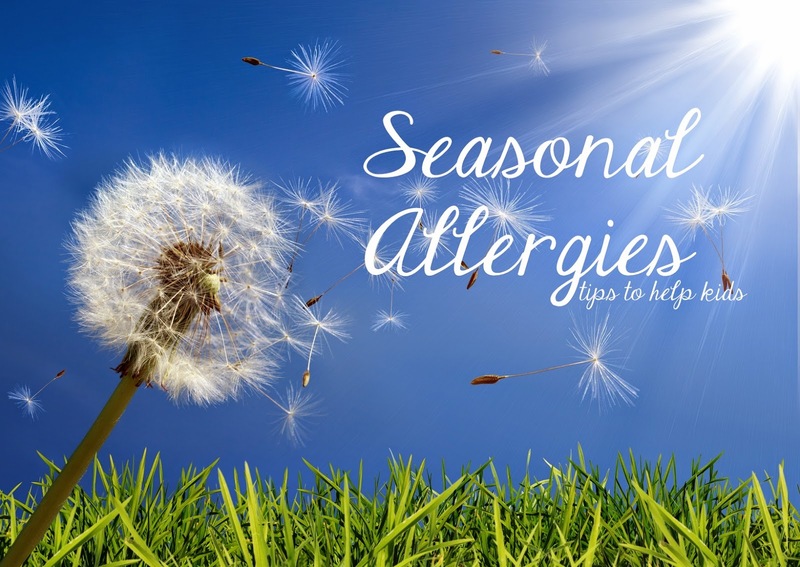 If you're a parent with a little one with seasonal allergies, here are a few tips that I find pretty helpful that can help relieve some of the symptoms. I've used a couple of them myself that I find helps out a lot. Use Boogie Wipes: When allergies are at their peak, tender noses can get sore pretty fast. 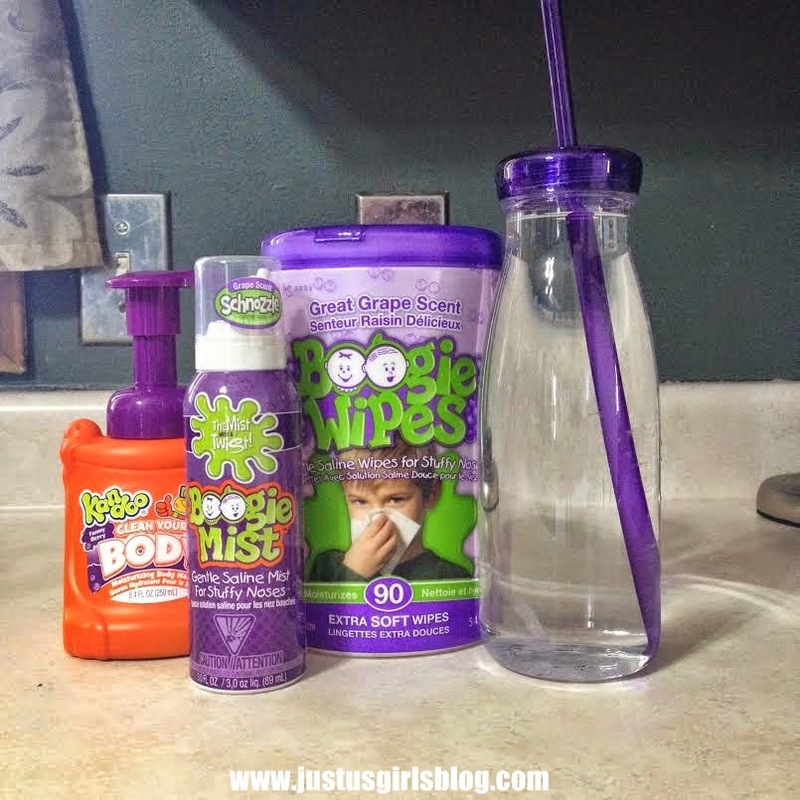 Boogie Wipes are made with saline to dissolve mucus caused by the common cold and/or allergies. They're soft on the nose and work great. You could also look for tissues made with lotion or aloe to help as well. Use Boogie Mist: Having a plugged-up nose is one of the main symptoms I seem to get every morning during this time of the year and it can also be one of the toughest symptoms for kids to deal with. I suggest using Boogie Mist. Boogie Mist is a non-medicated sterile saline mist that works quickly inside the nasal cavity to ease congestion and plugged-up nose. Stay Hydrated: All that sneezing and blowing can leave your child pretty thirsty. Be sure to keep a water bottle full and close by so that your child can sip on a bit of H2O throughout the day and stay hydrated.